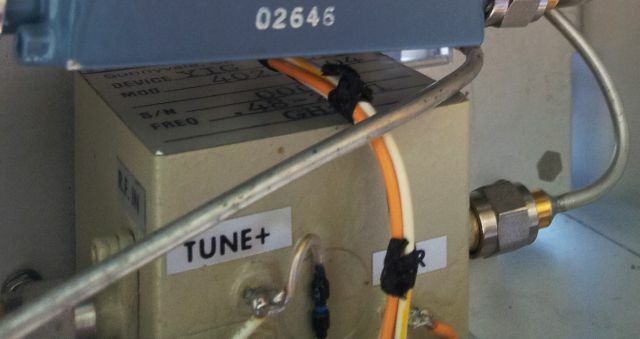 First of all, mystery solved – the remote enable input for the IF attenuator. After quite painful tracing of wires and disassembly of the logic boards, a broken trace! Just a little crack, but big enough to block the electrons’ flow. A little bit of solder, and then, suddenly, the MSR-904A’s IF attenuator can be remotely controlled. Today, a also the dual pot for the F2 adjustment arrived – fitted, also this, working again. 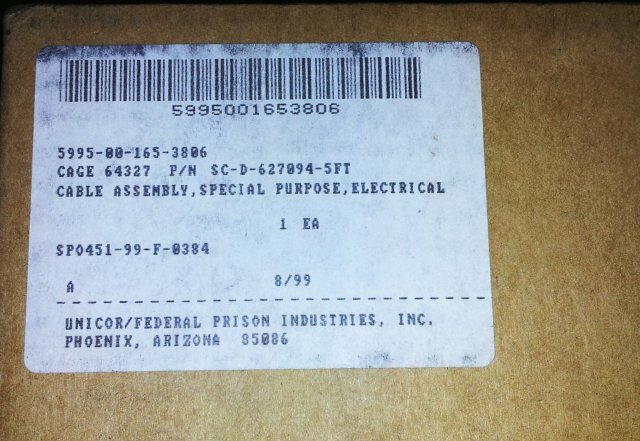 The part has a NSN number, original unit price was no less then 71.38 USD! 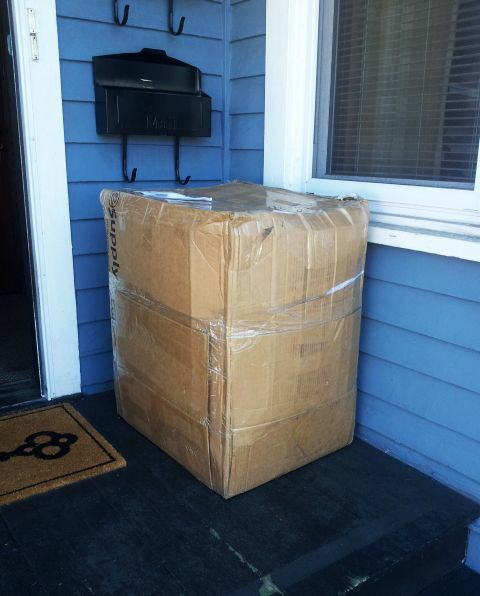 -it was well packaged in a multilayer heat-sealed bag. 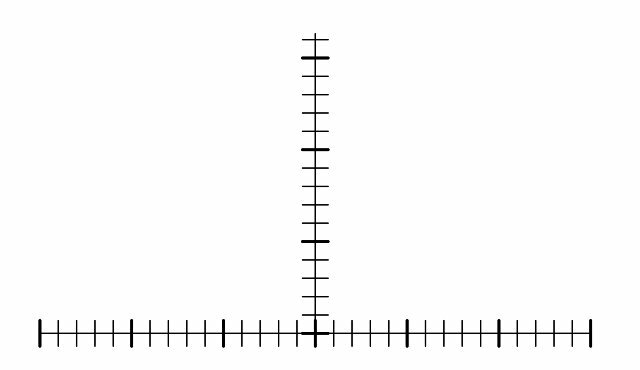 (1) The crosshair. The old one is badly damaged. Sure, I could just use a laser or inkjet printer, but with a laser, the resolution is not good-doesn’t look sharp enough. With inkjet, I doubt it would be permanent enough, and also there, the printout is never sharp enough. So I decided to go for the solution that also Micro-Tel used, so-called imagesetting film. Back home in Germany, not problem, but here – first I need to find a source. Turns out, not too difficult, about 20 USD for 8 pcs of crosshair (minimum order fee), a company located in New Jersey, not around the corner, but not far. 2400×2400 dpi, acetate/emulsion film. 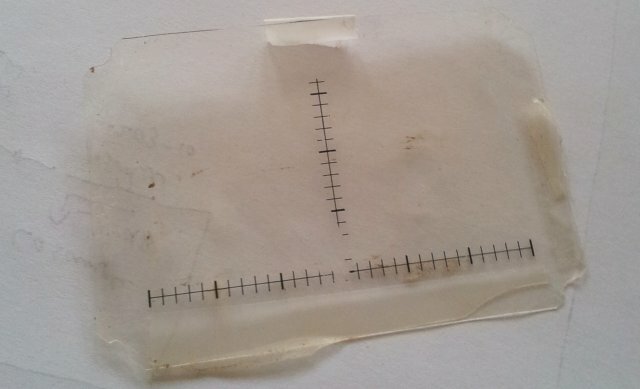 With a film printing service identified, we need to get the digital data, of the crosshair. 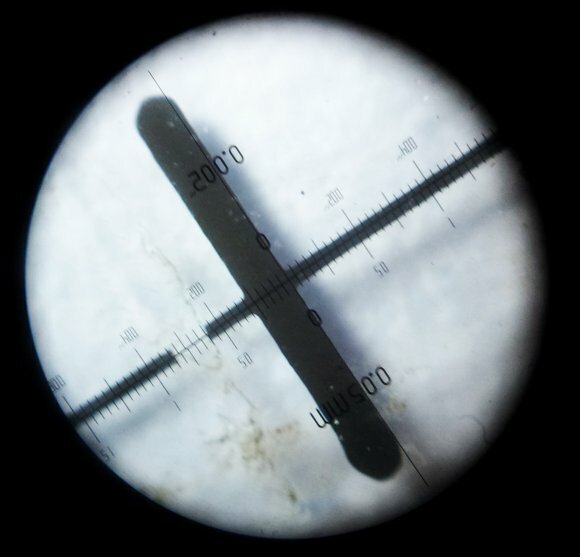 With the human eye being a pretty precise tool to determine even small differences, and aiming for perfection with the replica – first, determined the line width and distances with a measurement microscope. 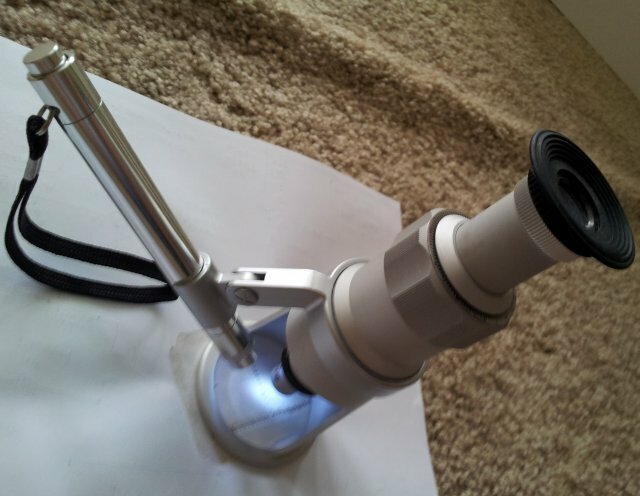 Such a little microscope is extremely handy, I use it all the time for inspecting circuit boards, etc. one of the big divisions: 0.275 mm (26 pt at 2400 dpi) wide. Line is about 0.125 (12 pt at 2400 dpi) wide. The new prints should be in the mail tomorrow! (2) The remote control input: a 37 pin connector! Fortunately, not all wires are connected (x in the draft). Controlling the function, bands and IF bandwidth, and detector characteristics (log-lin), all fairly straightforward. All of these inputs seem to have pull-up resistors, so grounding them works fine to switch. This is quite hand for control via optocoupler – no external voltage required. The IF attenuator – traced the lines to the control board, it is a BCD control input, 2×4 bit. Unfortunately, I can’t get it to switch… the ‘enable’ signal doesn’t seem to reach the control board – more effort will be required to trace this last line! 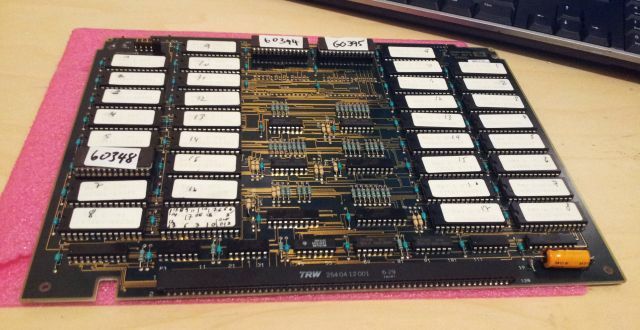 – Solved: a broken trace on one of the logic boards! Some of the pins, despite having wires attached to them, remain unidentified – or might be reserved for options not implemented. Except for the IF attenuator control enable signal, all functions needed have been identified anyway. 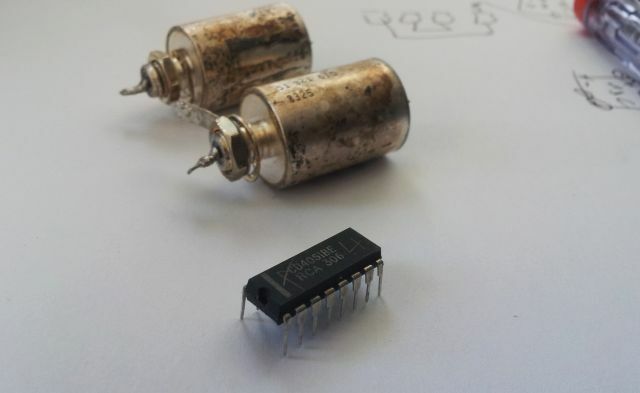 (3) The remote frequency control input – analog voltage: quick check with a frequency counter connected to the LO sample, and a DC voltage supplied – it is a 0 to 10 V input. Scaling of the input voltage can be adjusted on the A6B2 board, R56 is for the mid-range adjustement (offset – supply 5 V and adjust for mid-band frequency), R68 is the gain adjustment (set at 0 V, and adjust for lower band limit; check setting at 10 V – should be at the high end of the band – and it really is). With the basics done (power supply, potentiometer), a few hours were spent to get everything tuned up. – notice the dirt, and the sticker residues. Also the crosshair (which is printed on a piece of plastic foil), will be replaced. Finally, the exterior. The front panel, easy enough, all brushed and cleaned with diluted isopropyl alcohol. 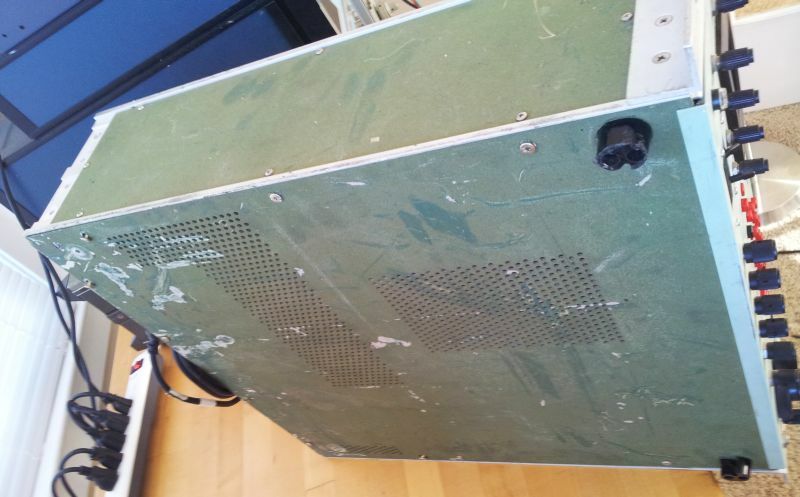 The top, bottom and side panels with the sticky green stuff – all the old junk (“paint”) has been removed, my soakin the panels in methylated sprits, sanding, solvent cleaning, sanding. Then, a layer of aluminum primer (self-etching automotive primer). Followed by a light sanding, and a layer of ‘Hunters Green” alkyd paint. After 10 hours of air drying, final curing at about 150-170 deg C, for a bit over an hour. 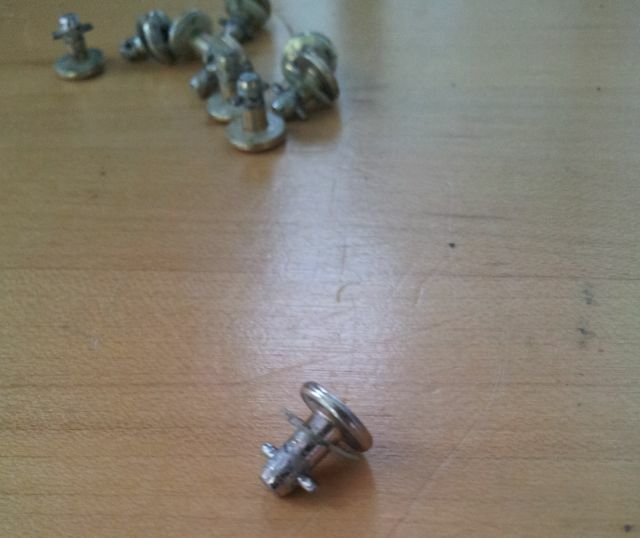 Missing items – one fastener like this – no idea where to find, seems like a part from the aerospace industry. Should you have any of these around, even of somewhat different length, or if you know a source, please let me know! 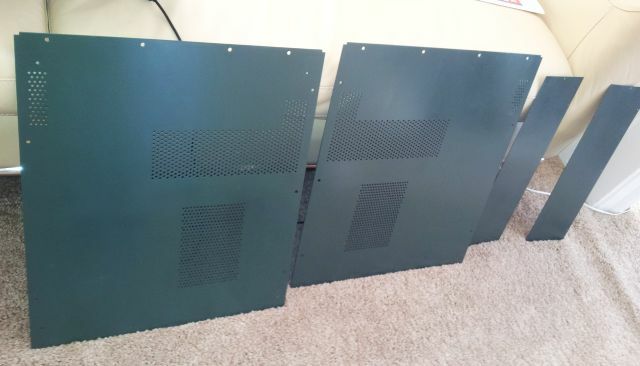 Sweeping test around 8.1 GHz – with the refurbished panels installed. Two more handles are still needed – either need to get spare handles from a parts units (which may be impossible to find), or ship the MSR-904A with 2 handles only, and provide the remaining two later, once I had a chance to fabricate them back home in Germany. At least, I have the exact dimensions measured, just a matter of some CNC milling. -this is a test using a 8.1 GHz AM modulated signal, with about 1 kHz modulation frequency. Carefully checked the IF chain (different chains are used, depending on filter setting) – the MSR-904A uses 250 MHz, 160 MHz (by mixing the 250 MHz IF with 410 MHz, from a low noise LO), and 21.4 MHz (for the 100 kHz BW setting). All seems to be functional. With the receiver now basically functioning – some weekness of the AFC circuit alignment, and the frequency control was noticed. 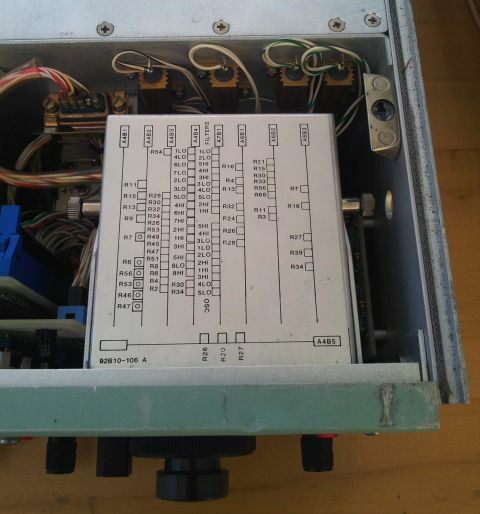 Therefore, some more effort was spent on the frequency control and AFC circuits, and the tuning indicator circuits. Really tough without any instructions or schematic. There are some nice indicators on the front panel, LED bar graph displays – one for signal strength, and one for tuning. These displays, now, in working condition and properly adjusted, are great fun to use. They are extremely responsive – nothing to compare with the time lag and sluggish nature of a modern SDR. Monitoring of the AFC control is by looking at the IF frequency, 250 MHz (on the EIP 545A counter), derived from the (non-phaselocked) MSR-904A LO frequency, minus the RF input frequency (from the Gigatronics 605 Microwave Synthesizer; the EIP 545A is locked to the 10 MHz signal from the 605). This setup allows me to check for any drift of the MSR-904A IF chain (and AFC, if activated), to 1 Hz resolution. Had it running now for several hours, no issue, signal stays perfectly tuned. The only remaining item, internally, is the alignment of the cross-band assembly – still lacking one CD4051 multiplexer circuit – which is on its way. A quick check with a CD4051 taken from another board showed that there is no defect, the board just needs some alignment of the band-to-band transition points. 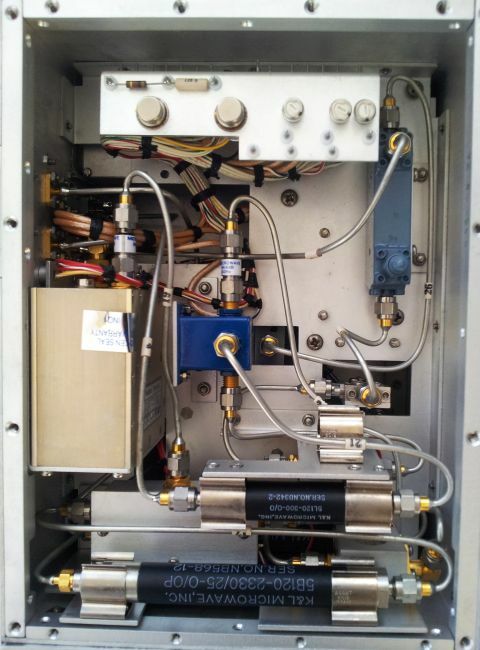 The crossband assembly allows a full 0.5-18 GHz sweep, with automatic band selection. The MSR-904A has a few outputs (and inputs), most of them, easy to identify, but two, are pretty much a mystery to me, with no schematic – their function is clear, but with all these wires TTL logic boards -difficult to guess the pinout. The more easy thing first, the monitor output. Arguably, this was intended to be connected to storage displays, digitizer, chart recorders, or the like – to more permanently record the activity over the bands. So, what do we have. Using a scope, and a multimeter, and activating more or less all the functions of the apparatus, that’s what I found out. Sorry for the rough draft, but any questions, please ask – for the given purpose, good enough. The only pin that doesn’t do much, is pin 9 – always stays on logic 5 V – maybe a +5 V supply line? Doesn’t seem to be an essential function, anyway. Some parts don’t have model numbers – because these are hidden, and I don’t want to take the thing apart. 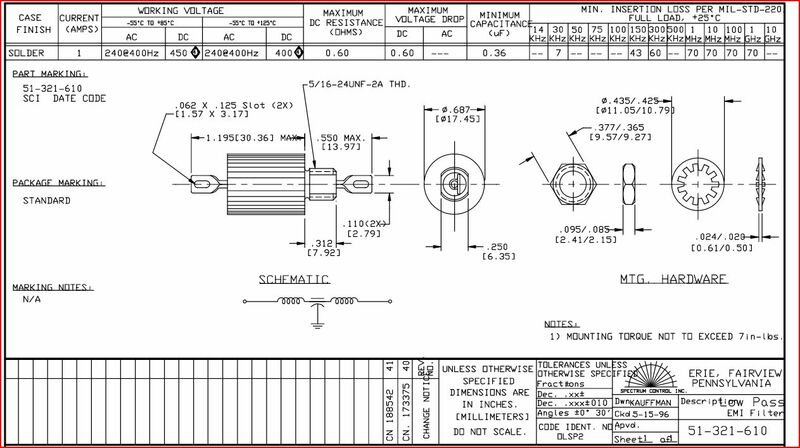 Luckily quite a few of the parts are still available, and datasheets are available for most. The YIGs are Avantek, have a customer part number, but I assume, essentially, slightly modified line item parts, with some specific specications. The only really uncommon part, is a “TREK MICROWAVE” 0.48-2.01 GHz 3-stage YTF. Didn’t know that such low frequency YIG filters existed, this has serial #00003. Even more, TREK doesn’t ring a bell for me, and the filter really looks very much like Systron Donner technology, with the characteristic color, and square-cube shape. As it turns out, TREK acquired the YIG division of Systron, some time around 1984… so, this mystery solved. The only part where no data seems available is the 2-18 GHz mixer, Avantek SX83 series, but can’t find a -1612 model anywhere. (1) Exterior. Need to fabricate instrument feet, re-paint the panels, handles are missing – either need to get spares, or fabricate replacement handles (can only be done back at the main workshop in Germany, lacking machine tools here). 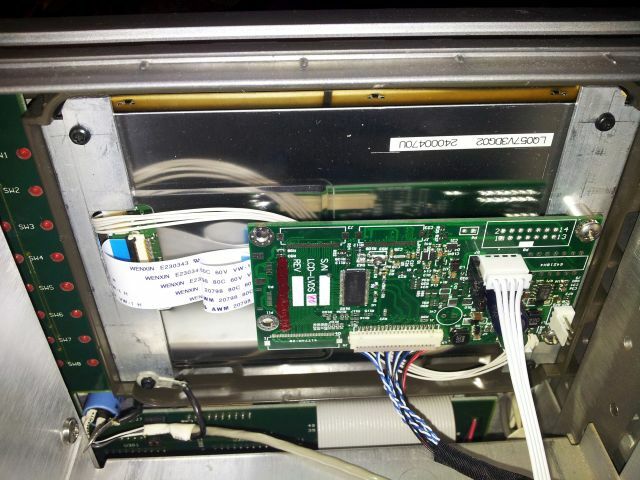 (2) The ground leakage -need to check the power supply. Hope it is not the transformer or other critical part. (3) Power cable. Absolutely non-standard! 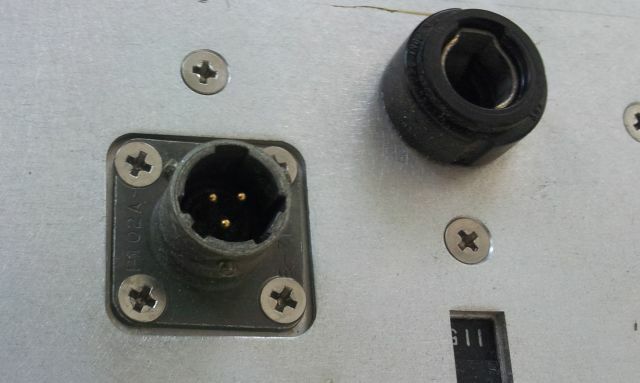 Uses a BENDIX connector, 3 pin, type PT02E8-3P-027. 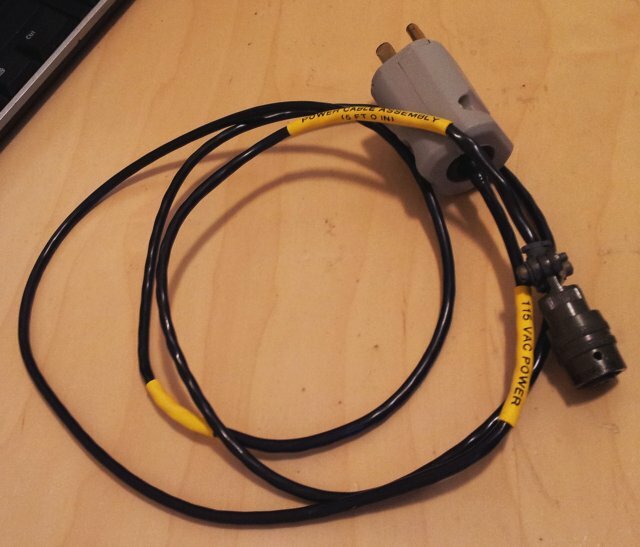 Interestingly enough, found a suitable cable, especially made for the MSR-904, on xbay, Army surplus! PN: SC-D-627094-5FT NSN:5995-00-165-3806, the guy has more then 10 pieces – seems the Army was really worried to run out of cables for their MSR-904s. 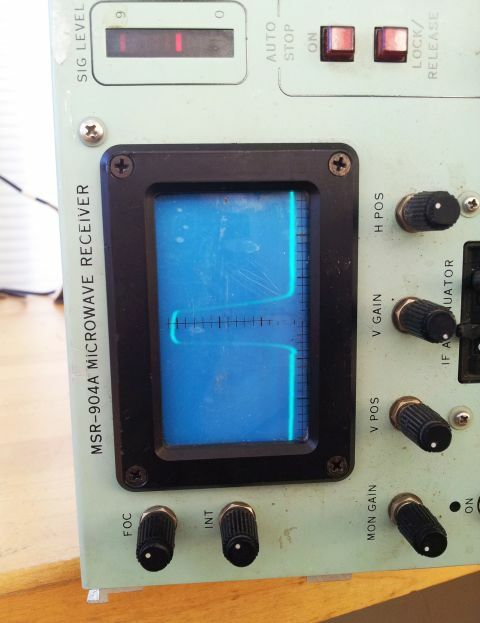 (4) The frequency display works but doesn’t show the right frequencies. (5) The F2 adjustment (upper sweep stop frequency in F1-F2 mode) doesn’t work. (7) Figuring out the pinout of the “Monitor” port (intended to connect a storage scope, I might connect a digitizer), and of the “Remote” port – the remote control signals (TTL). 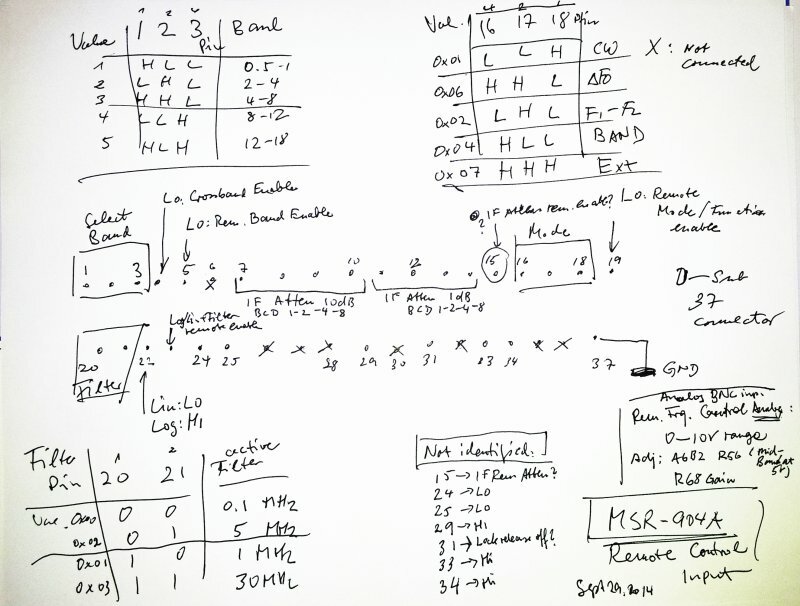 (8) Figuring out the external frequency control and phase lock voltage requirements. 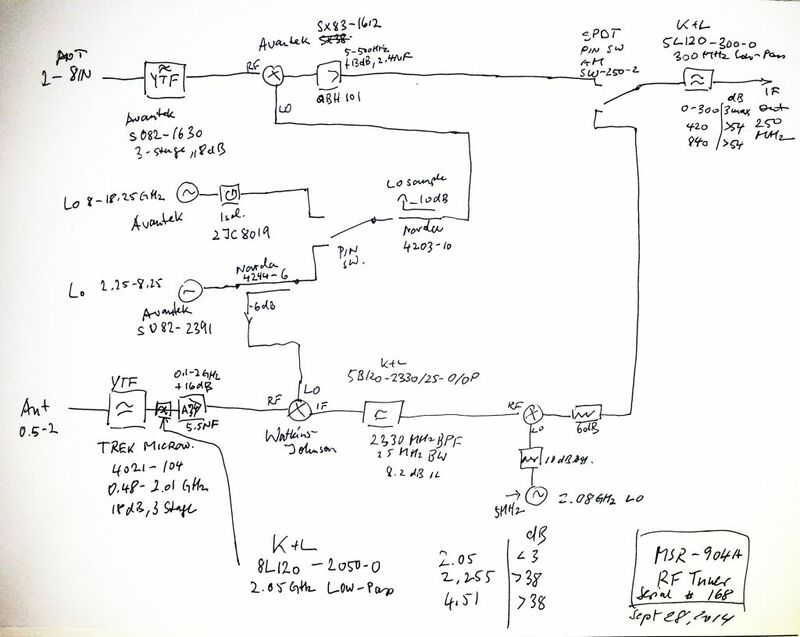 (9) Drafting a block diagram of the RF deck and IF chain, just to better understand the inner workings, and to see, which parts-components Micro-Tel used. It’s held in place, and held together, by a cup full of screws. And, it has a layer of what is presumably Mu metal (high magnetically shielding sheet metal), to keep the 50-60 Hz in the transformer. The filter, at the input, it is a sight in itself. 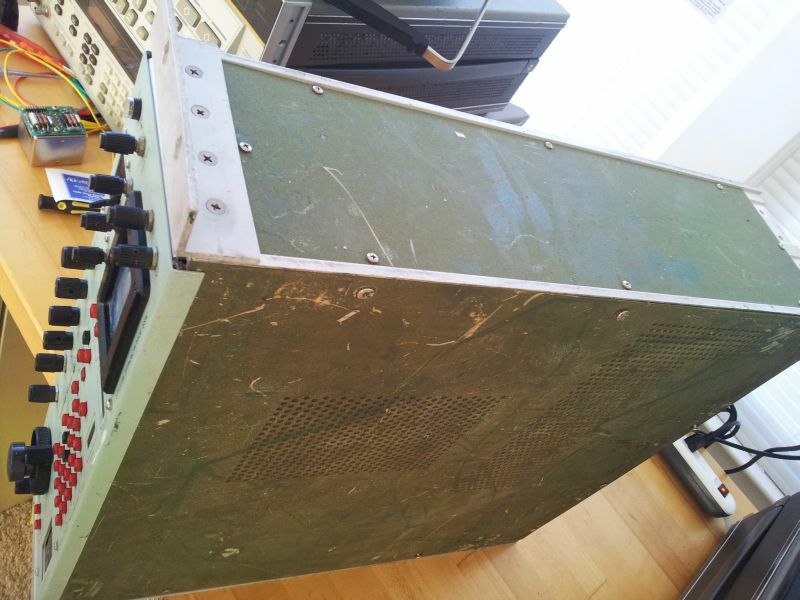 Not sure how much it would cost to fabricate a custom aluminum case of this size, and to manually assembly it these days. Parts value alone, over 250 USD. Well, and as it turns out, exactly these parts are leaky. SPI filters, 51-321-610, still available, after being around for 30+ years, at Mouser and elsewhere – 119.64 USD each, 18 pcs minimum order…. After a quick thought – I will give these parts a miss. With all the shielding, transformers and wires, we can do without hermetic feed-through filters – keeping in mind that also the bottom and top lid of the unit have ventillation holes. So, filters removed, and wires re-connected… and, quite to my satisfaction, no ground leakage any more – not even a few microamps. Before putting it back together – quick check of the power supply – all seems to be working fine now, and well adjusted. Item (4) – complicated. Took me quite some hours. The frequency meter is acutally a voltage meter, and this is controlled by the tuning voltage, and a complex digital circuit spread over some hard to reach board. 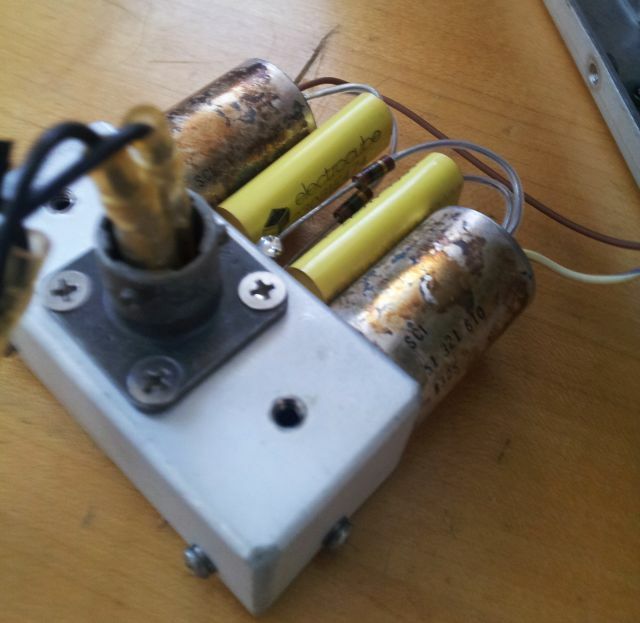 After searching around – it’s just a defective CMOS multiplexer switch, setting the gain of one of the voltage conditioning stages (which are needed to handle the various bands). It’s and CD4051, standard item, no problem. Put in a good one, from another part of the circuit that is not criticial at this point, and ordered a few spares, just USD 1.75 for 3 pcs, including shipment, from Macau. On item (5) – the sweep circuit is pretty similar to the Micro-Tel SG-811, and for the SG-811, I have the schematics around. It uses a dual 10 turn potentiometer. 10k. 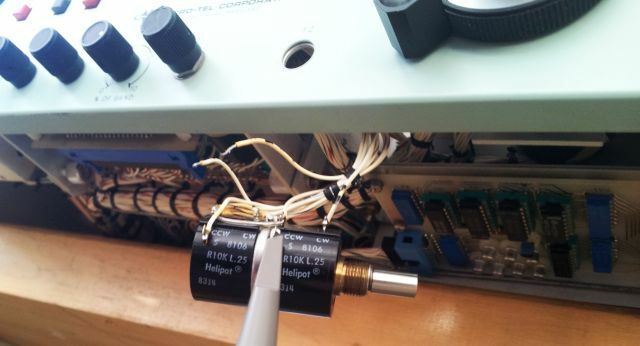 Helipot 6108 series, a type common to high-grade analog-control instruments. Seems that one of the stages (the stage that controls the sweep range) is defective – the hybrid resistance material used for the pot (these don’t use wire, because they are made for high resolution applications) is open at the “cold” end – sweeper is always at full scale. As these are all fully sealed units, no way to repair – found an exact replacement second-hand, for a reasonable charge. For the time being- changed the wires: the F2 display (controlled by the second stage of the pot, which is still working), has been disabled, and the wires changed so that the acutal sweep range is now controllable – so I can do all adjustments, just don’t get a display for the F2 frequency. Well, and after all this, the unit is at least basically working, responding to controls, and not triggering any fuses. To move things further, setting it up with a few GHz range synthesizers, and an EIP 545A counter, for some first tests with RF. 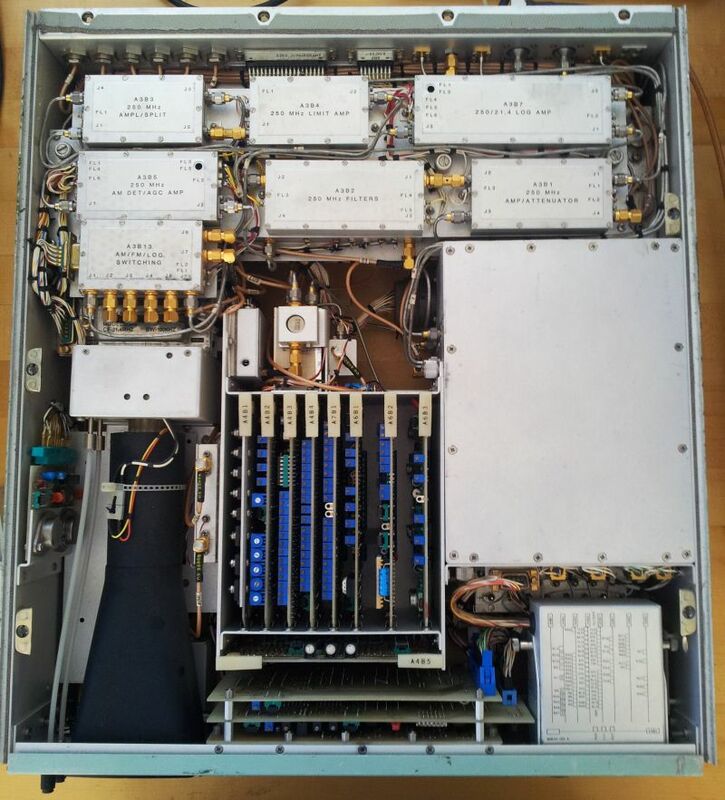 Micro-Tel MSR-904A Microwave Receiver: the big box arrived! Wrapped in 20+ feet of bubble wrap, nothing less than a Micro-Tel MSR-904A Microwave Receiver, needing some TLC, later, to be added to a special equipment collection elsewhere. The MSR-904A. Arguably, it is the last member of a series of 18 GHz+ receivers, build by Micro-Tel at Baltimore, MA, and intended for surveillance work, by governmental agencies. If you ask the right people, these receivers are pretty famous, and have been considered a strategic item for a long time. They are build using all discrete parts, and hardwired CMOS and TTL logic. 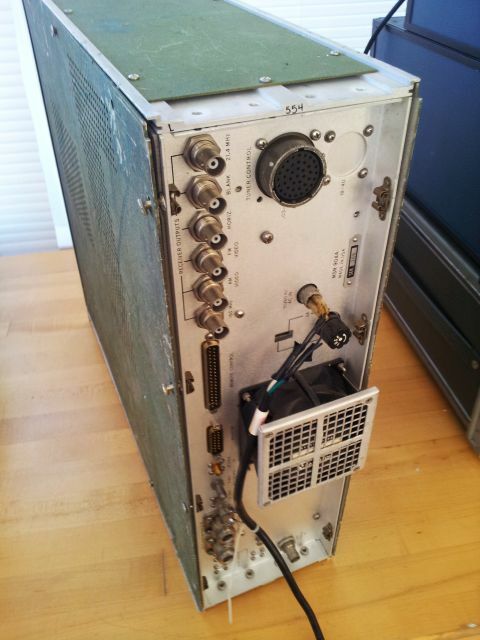 After all, many parts, but if you have seen other Micro-Tel instruments, not too unfamiliar. Some say, 80s technology, but actually, is is build in time-less style – from the best components available (not only at the time – these components, YIGs and filters haven’t really improved since). 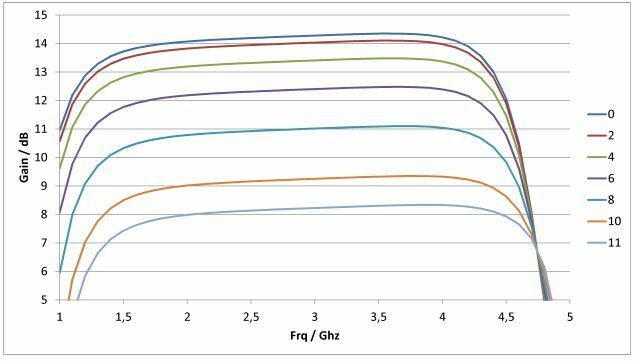 Frequency range: 0.5-18 GHz – fundamental mixing; fully YIG pre-selected over the full range (using 18 dB drop-off filter, i.e., three YIG spheres; one preselector for 0.5-2 GHz, the other, 2 to 18 GHz). 1st Image rejection, 70 dB, and 65 dB at above 12 GHz. 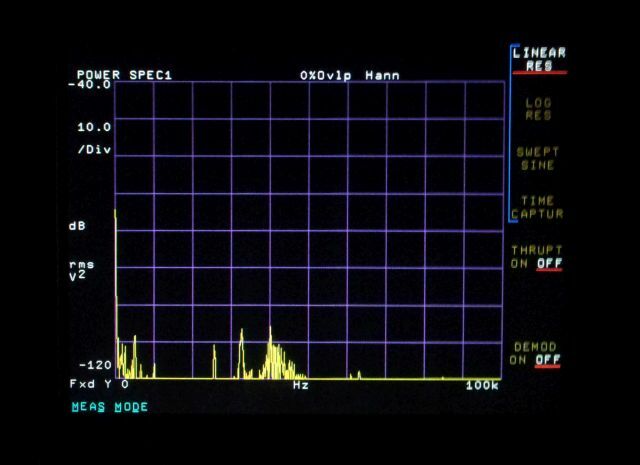 IF filters: 100 kHz, 1 MHz, 5 MHz, 30 MHz – quite handy. Spurious: 90 dBm at input equivalent over full range. 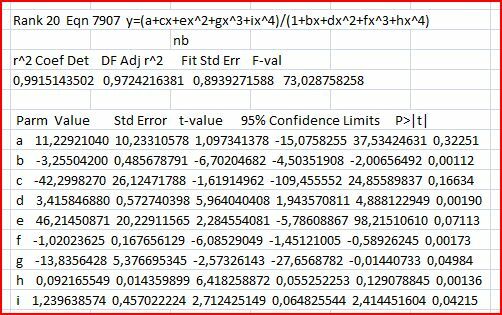 Note: All in all, 3+3+1+1 = 9 YIG spheres are used, and an uncounted number of filter crystalls. The 100 kHz 21.4 IF filter, it’s quite impressive. In the 2 to 18 GHz range, a 250 MHz-21.4 MHz IF chain is used, with LO 250 MHz above the signal. For 0.5 to 2 GHz the signal is mixed with an additional 2.08 GHz from an auxilliary LO. I.e., LO frequency is 2330 MHz (2080+250 MHz) above signal. 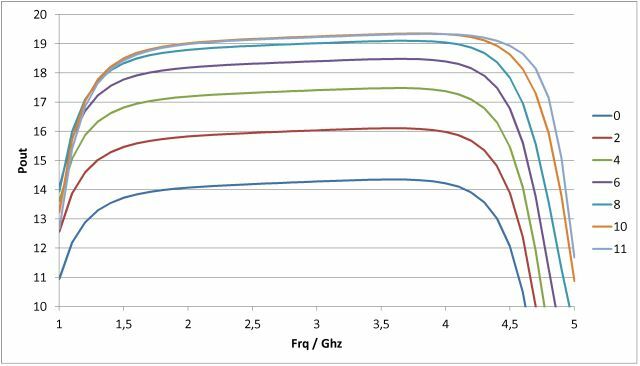 (1) Fully fundamental mixing, using YIGs – lowest phase noise possible. Fully preselected. (2) Unit has a 250 MHz IF output, with about 40 MHz bandwidth – this makes this unit ideally suitable as down-converter, if you want or need to receive at medium to high GHz frequencies. Can be directly fed to any SDR for demodulation. The MSR-904A has very small group delay, seems pretty suitable for handling of digital modulation schemes. (3) It is fully remotely controllable, and has a phase lock input – will hook it up to a ADF41020, and/or a fractional-N PLL, same PLLs as already developed and tested for the Micro-Tel 1295 receiver. 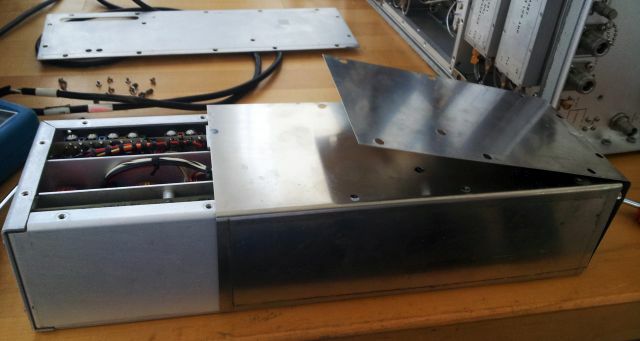 Such PLL unit will go along with the MSR-904A, once the repair and proper adjustment and testing is finished. 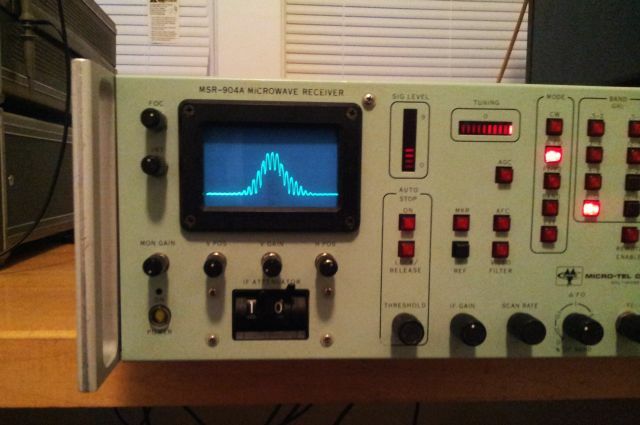 Micro-Tel used to offer a frequency stabilizer (PLL) for the MSR-904A, but I have never seen one offered. If you have one, please let me know! Two downsides – NO serice manual, no manual or documentation at all. If you have one, even if only for another MSR unit (MSR-901, MSR-902, MSR 903), please, let me know. Second downside – the condition. 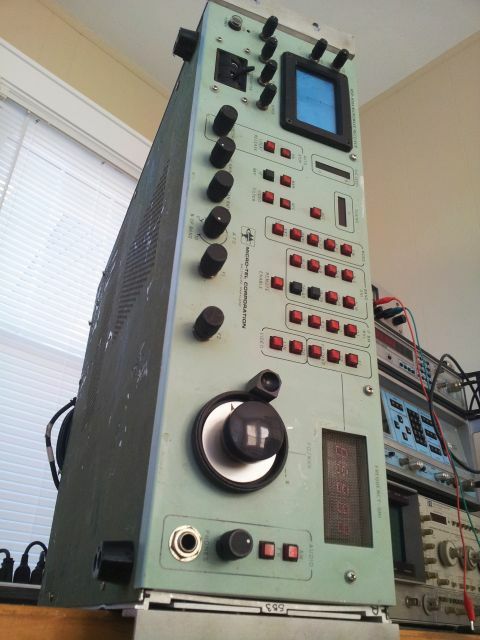 Well, there don’t seem to be many of the MSR-904A around for sale any more. One unit I know off, but it doesn’t have the panoramic (scope) display. Other might be available, at outrageous cost. This unit was sold even blow the market value of a fraction of the components. Note the tuning know – different from the typical Micro-Tel style. But nevertheless, seems to be the original, unmodified part. The full repair, it will be a major job, because currently, it is a bit beat up – I wish, the earlier owners would have treated it a bit more carefully, and Micro-Tel should have never touched the green paint that just isn’t lasting and a sticky mess on a good number of their instruments – fortunately, only the panels are affected, and these are easy to remove – re-painting already in process! Also, it doesn’t seem to work well, powers up, but seems to have a leaky supply – keeps tiggering the RCD. It needs a through inspection. Cosmetically at least, the inner working are in much better shape than the exterior would suggest. Center – edge-connector boards, mainly YIG driver and analog control. 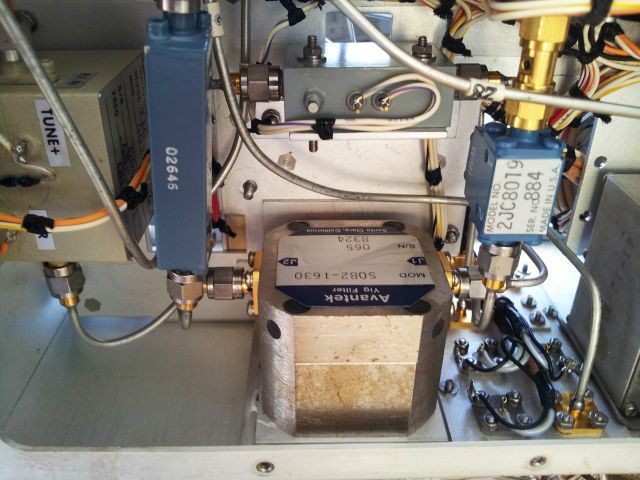 The metal box on the right – the RF box with the microwave stuff. The other items – IF converters, detectors and so on. Everything: very well shielded. 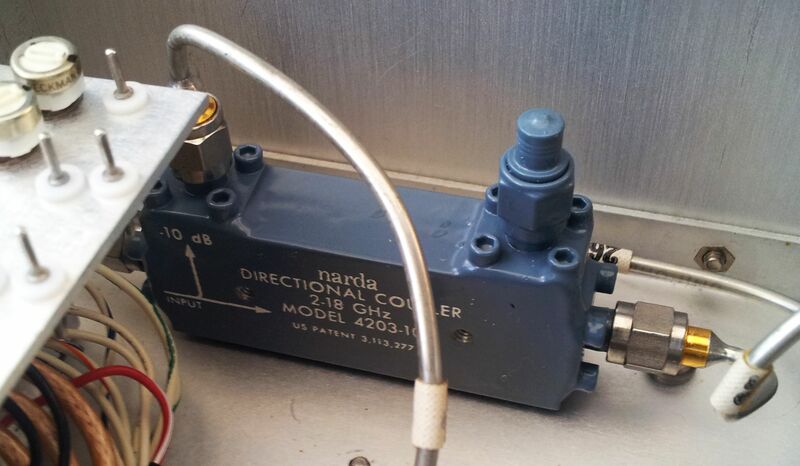 A Narda 2-18 GHz broadband -10 dB coupler. Still available from Narda today! The preselectors: S082-1630 (2-18 GHz, might work up to 20-22 GHz), and a custom Systron Donner 0.48-2.05 GHz YTF. 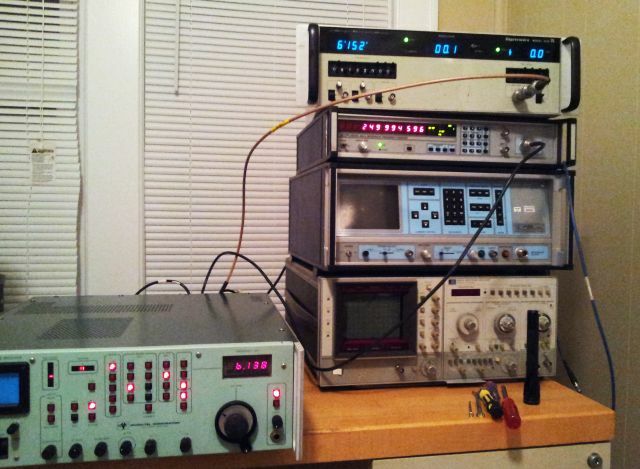 The task for today – characterization of a bunch of microwave amplifiers, Avantek/HP AFT-4231-10F. 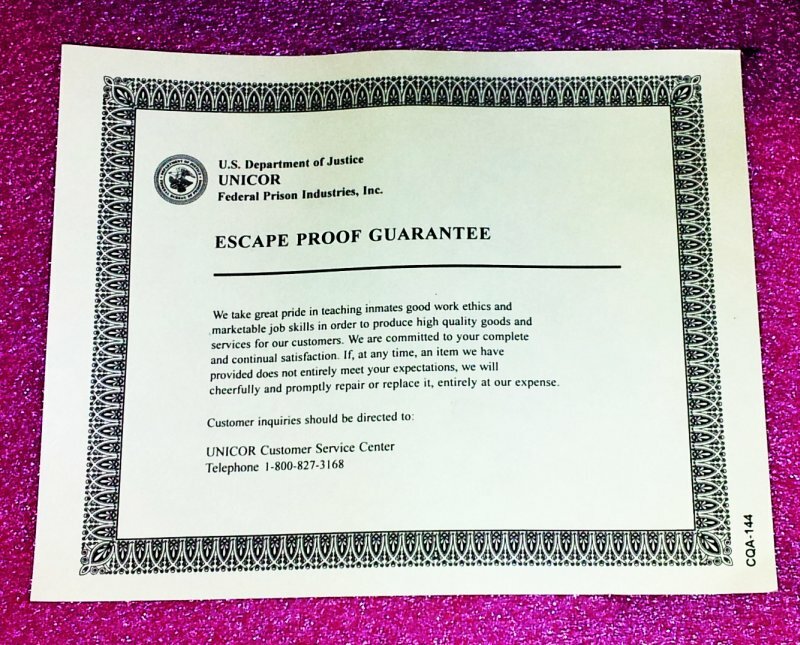 These are quite rugged and affordable components, widely available surplus, and hermetically sealed – will last forever, if things are not messed up completely. The specification however, it’s not quite clear, and no detailled information could be found on the web. That’s why I have been asked to come up with measurements and a calculation model that allows to estimate the gain (and the actual maximum output power, and the necessary input power, to reach close to maximum output), at any given frequency and input power. Also, it needs to be checked how far above 4 GHz this device still works. Last item is to measure the supply voltage sensitivity of the gain, to get a feeling on the required stabilization, to avoid incidental AM on the signal. 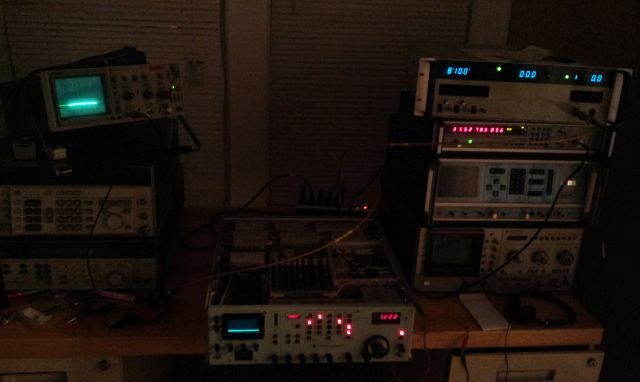 The only equipment at hand at my temporary workshop here, a microwave source, EIP 928, and an HP 8565A spectrum analyzer was used to measure the gain at various input levels. Accuracy of this setup is about 1 dB. 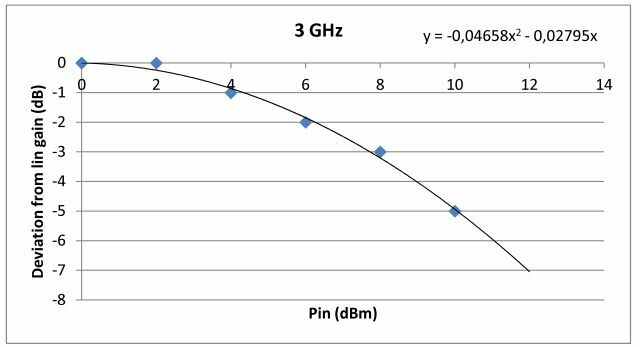 The gain fit (0 dB input) can also be used to describe the maximum power, with some scaling factors – this considerably reduces the number of parameters needed, and the calculation effort later, when implemented in a microcontroller. Black lines in above diagram show the fit results. 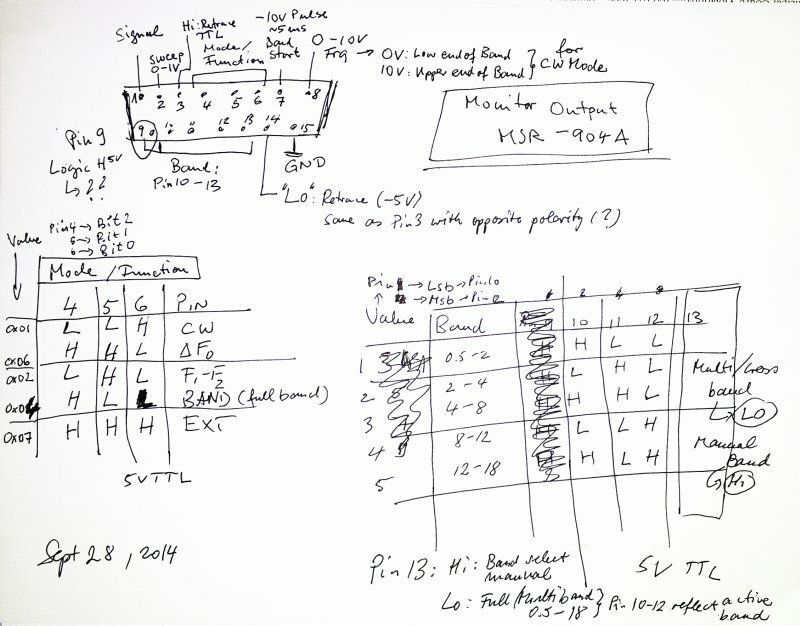 For the gain compression, a 2nd order polynomial is used, and scaled for the 10 dBm input gain. Once this is all established, no big deal to see the full picture. Accordingly, no problem to get 18 dBm+ in the 1.8 to 4.5 GHz range, perfect for the application requirement. 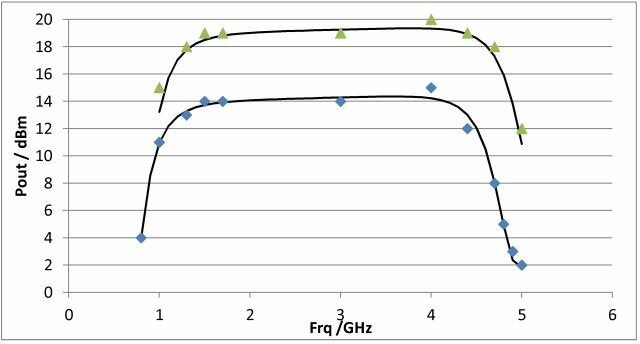 The final item – supply voltage impact on gain: tested at 3 GHz, 0 dBm input power. Using a Micro-Tel 1295 test receiver, the reference level was set to 0 dB at 15 V supply voltage, which is the nominal voltage. Down to 9.0 V, the AFT stays within an excellent 0.01 dB variation. Output power slightly increases (0.15-0.25 dB) down to 6 V. At about 5 V, amplification cuts out. So the AFT can work with any voltage from 10 to 15 V, at about 80 mA, and seems to have pretty good internal regulation.